The room is located in an apartment in a recently renovated historic building in the heart of Città della Pieve. It overlooks the ancient medieval fortress and has a private bathroom with a shower, a hairdryer, towels and free toiletries. 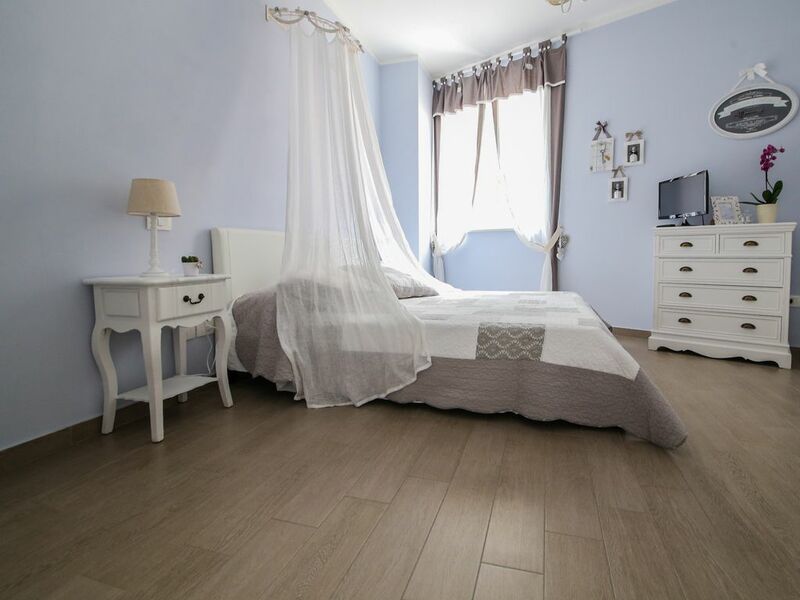 The furniture, with attention to every detail in shabby chic style, the porcelain stoneware floor and the colored walls give the room a warm and welcoming atmosphere. Room features a TV and free Wi-Fi. Buffet breakfast is served in the communal area. Room cleaning is performed daily. The place, just because of its central location, as well as offering possibilities for rest or reflection, offers its guests easy access to many excursions to many tourist sites of remarkable artistic, religious and landscape interest such as: Perugia, Assisi, Gubbio , Orvieto, Città della Pieve, Trasimeno Lake, Chiusi, Montepulciano, Pienza and Rome and Florence are about 120 km away. Città della Pieve, rich in art and history, is the home of Pietro Vannucci, known as Perugino, one of the major painters of the Italian Renaissance. Visiting the heart of the village there is the embarrassment of the choice between the monuments and the buildings to visit, including paths and courtyards to discover, in front of which to be amazed and enchanted. A curiosity: along Via Vannucci you meet the "Vicolo Baciadonne" considered the narrowest alley in Italy.